Way to go, Marica! Looking forward to seeing her perspective from behind the lens. That’s great Marica. Keep the business going! Who knows, you might decide you like being a CEO better than a photographer. Love it! Love the photo too. Enjoy the camera, Marica! Wow, Marica, you want to come down and help me set up a lemonade stand? Not that I have the stellar neighborhood for such an enterprise that you have. I, too, will look forward to seeing the fruit of your hard work and your purchase! Fantastic! Way to go, Marica! Marica, I was just about to say that you are a woman after your Grandpa’s heart, and the fact that he entered a comment already just proves my point. 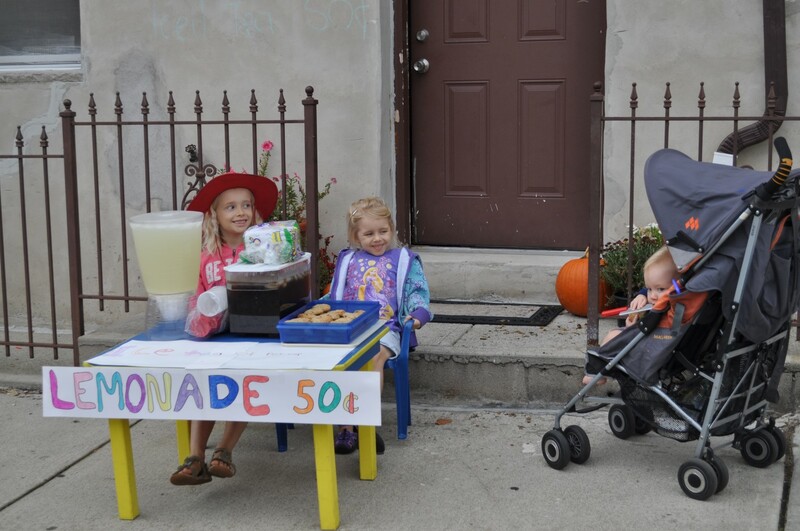 He always had ideas for his children to take up innovative roadside businesses, and now his granddaughter has done it!